In 2015, the BCCLA won a historic victory in Carter v. Canada when the Supreme Court of Canada unanimously struck down the laws prohibiting physician-assisted dying. The Court found it unconstitutional to deny an assisted death to any capable, adult persons who suffer unbearably from serious, unalleviated medical conditions. In response, Parliament passed legislation in June 2016 that leaves many seriously ill Canadians unable to access physician-assisted death – taking away the right that was granted to them by the Supreme Court in Carter. As a result, only individuals who are already approaching their natural death are able to access medical assistance to die. The effect of the government’s laws is that the longer you will live in unbearable suffering, the less likely you are to be eligible for a medically assisted death. Shortly after the new legislation was passed, the BCCLA filed Lamb, a claim against the Attorney General of Canada challenging the constitutionality of the new assisted dying legislation. Given the similarities between the Lamb and Carter cases, we seek to rely on many of the findings made in Carter, rather than re-litigating the same issues over again. A key finding in Carter established that the potential vulnerability of individuals to coercion can be reliably assessed by doctors on a case-by-case basis. This finding formed a crucial part of the 2015 Carter decision, and directly contradicts the government’s current assertion that there are whole groups of people who are too vulnerable to be allowed a medically assisted death (i.e. any person who is not already approaching their natural death). If we are successful in our efforts to bind the government in the Lamb litigation to some of the findings from Carter, it would mean a shorter, more timely and cost-efficient trial. In this case, time matters dearly because every day that passes is another day Canadians are trapped in intolerable suffering. 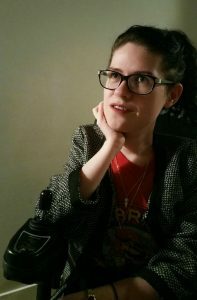 In October 2017, the Supreme Court of British Columbia found that the government should be allowed to introduce evidence even if that evidence retreads ground already covered in Carter. We appealed that decision, and a hearing at the British Columbia Court of Appeal was held on May 29, 2018. At the hearing, the BCCLA argued that Canada should be prevented from forcing the plaintiffs to reargue points already proven in Carter. 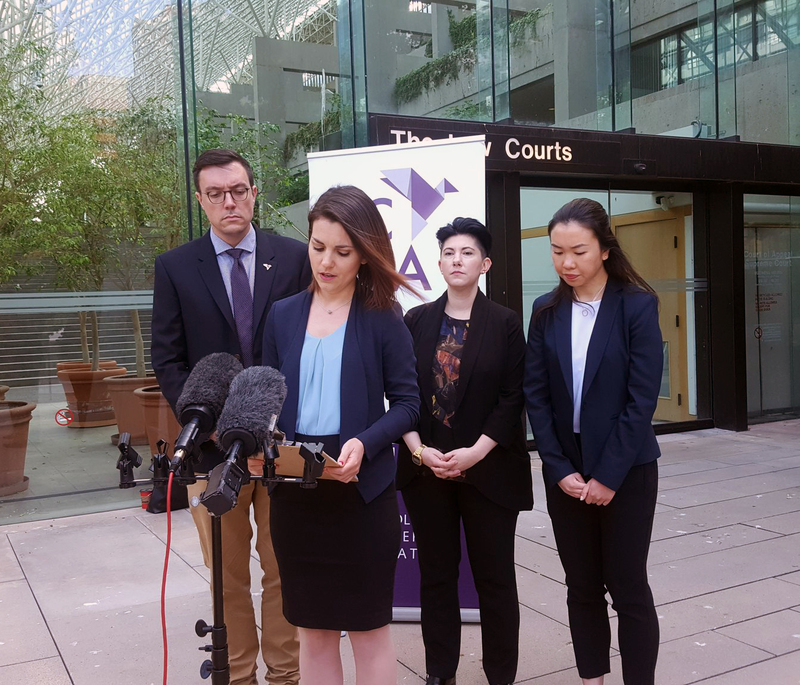 Carter was recently finally decided, dealt with many of the same issues as the Lamb case, and involved the same parties: the BCCLA and Canada. Without new, fresh evidence – and out of respect for the finality of the Supreme Court of Canada’s decisions – the Carter conclusions should be allowed to stand. Critically, we don’t deny that the government should be able to defend their new assisted dying legislation, or introduce new evidence to refute previous findings if that evidence was not available during Carter. But we assert it would be an abuse of process, and inefficient use of public resources and court time to force the BCCLA to re-litigate the central Carter findings. Underlying the appeal is a concern for the future of public interest litigation like the Lamb challenge. The BCCLA is a non-profit association with a fraction of the resources of the federal government. Public interest litigation, and the important rights-protecting purpose it serves, would be significantly impeded if every time a law is declared unconstitutional the government can pass a similarly problematic law, forcing vulnerable plaintiffs to go back to court in order to ensure the government’s compliance with the initial ruling. 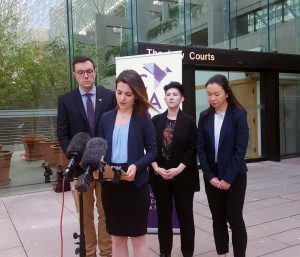 For BCCLA, this appeal is about fairness, compassion, and protecting the public’s ability to hold government accountable to all of our fundamental rights and freedoms. Previous Post: Welcome to Our 2018 Summer Legal Interns! Next Post: We’re hiring a litigator!